IBM Cloud Kubernetes Service is a managed Kubernetes offering running in IBM Cloud. It is designed to deliver powerful tools, intuitive user experience, and built-in security for rapid delivery of applications that can be bound to cloud services related to IBM Watson, IoT, DevOps and data analytics. As a CNCF certified Kubernetes provider, IBM Cloud Kubernetes Service provides intelligent scheduling, self-healing, horizontal scaling, service discovery and load balancing, automated rollouts and rollbacks, and secret and configuration management. The service also has advanced capabilities around simplified cluster management, container security, and isolation policies, the ability to design a cluster with a custom configuration and integrated operational tools for consistency in deployment. Portworx is a Kubernetes storage and data management platform that enables enterprises to confidently run mission-critical data services on IKS (as well as IBM Cloud Private). The addition of primitives such as stateful sets and persistent volumes to Kubernetes has made it possible in theory to run stateful services like databases on Kubernetes. But these primitives alone do not address the core business challenges associated with running data-rich applications on Kubernetes: high availability, backup and recovery, data security, SLA-management and more. Portworx provides a single data management layer for all stateful services that directly addresses these challenging topics. 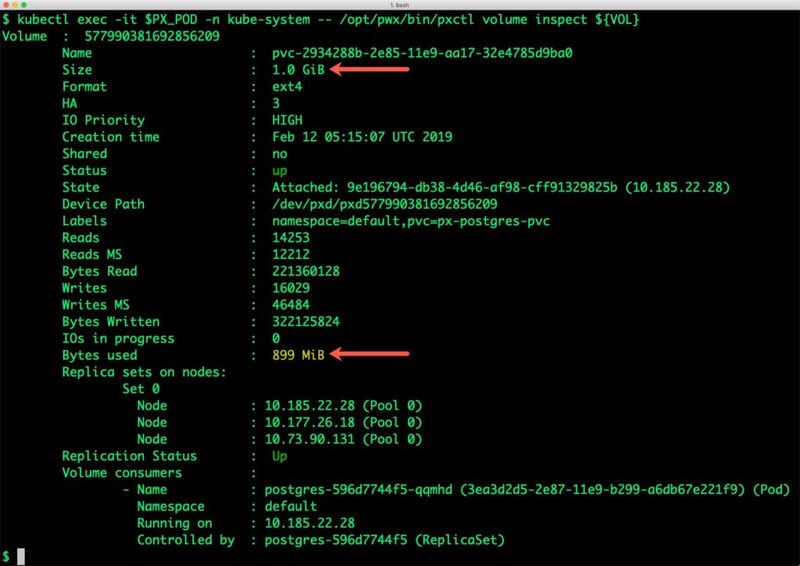 This tutorial is a walk-through of the steps involved in deploying and managing a highly available PostgreSQL cluster on IBM Cloud Kubernetes Service (IKS). 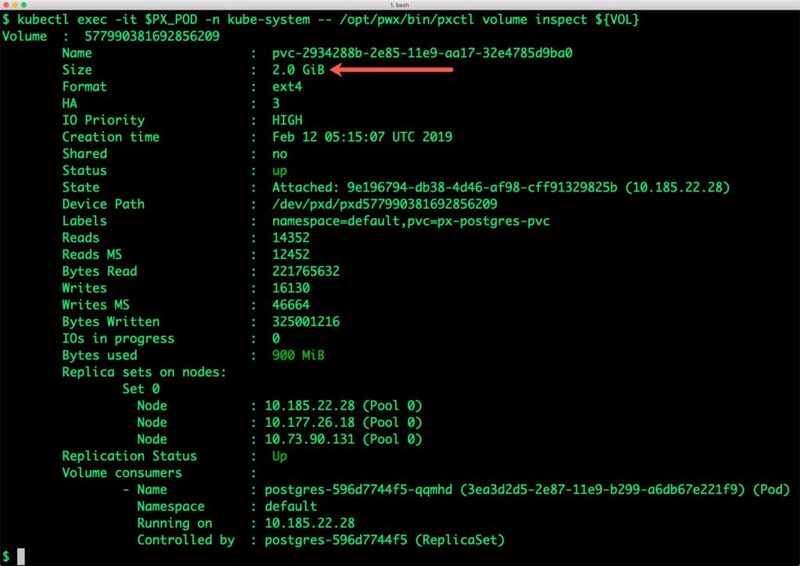 For details on launching a Kubernetes cluster with bare metal worker nodes, please refer to the documentation of IBM Cloud Kubernetes Service. We are using an IKS cluster with 4 nodes out of which 3 nodes are running bare metal servers with SDS based on the instance type ms2c.4x32.1.9tb.ssd.encrypted. Only these machines that meet the prerequisite would be used by Portworx. To exclude nodes that don’t meet Portworx prerequisites, you can apply a label to skip the installation of Portworx. For example, the below command applies a label on the node with name 10.185.22.14 which doesn’t run on a bare metal server. Installing Portworx on IKS is not very different from installing it on any other Kubernetes cluster. It is recommended that you create an etcd instance through Compose for etcd. You can use the Helm Chart to install Portworx cluster in IKS. Portworx documentation for IKS has the prerequisites and instructions to install and configure Portworx, STORK, and other components. At the end of the installation, we will have Portworx DaemonSet running on the nodes excluding those that are filtered out in the previous step. 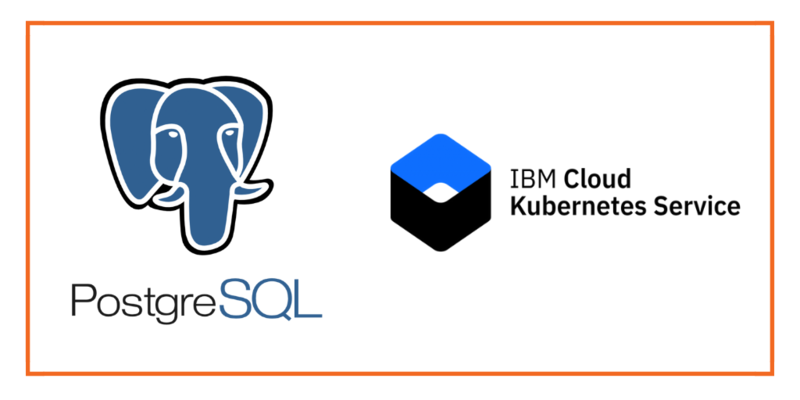 Once the IKS cluster is up and running, and Portworx is installed and configured, we will deploy a highly available PostgreSQL database. Wait until the Postgres pod is in Running state. After testing end-to-end failover of the database, let’s perform StorageOps on our IKS cluster. Let’s verify that the volume has additional space. 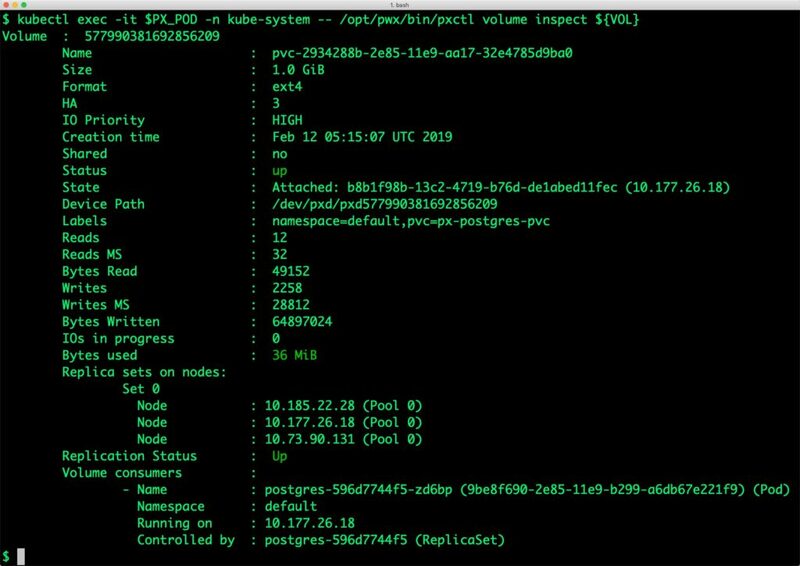 Portworx supports creating snapshots for Kubernetes PVCs. 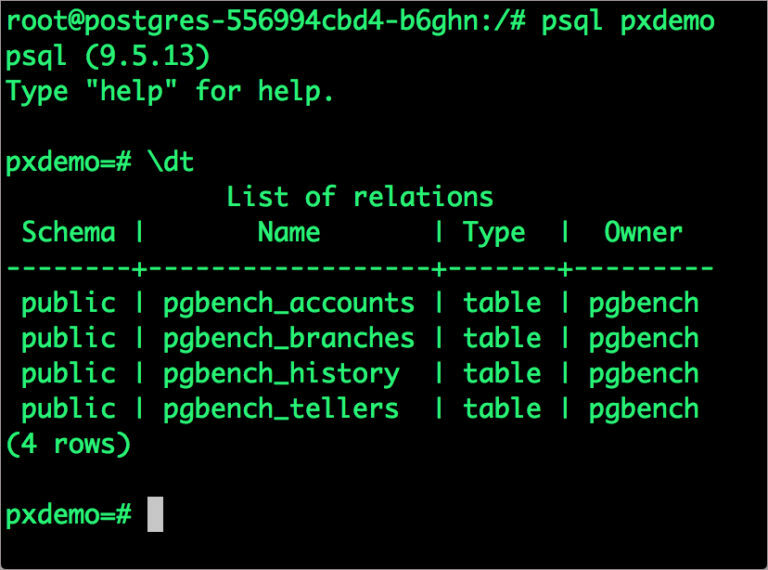 Let’s create a snapshot of the PVC we created for PostgreSQL. 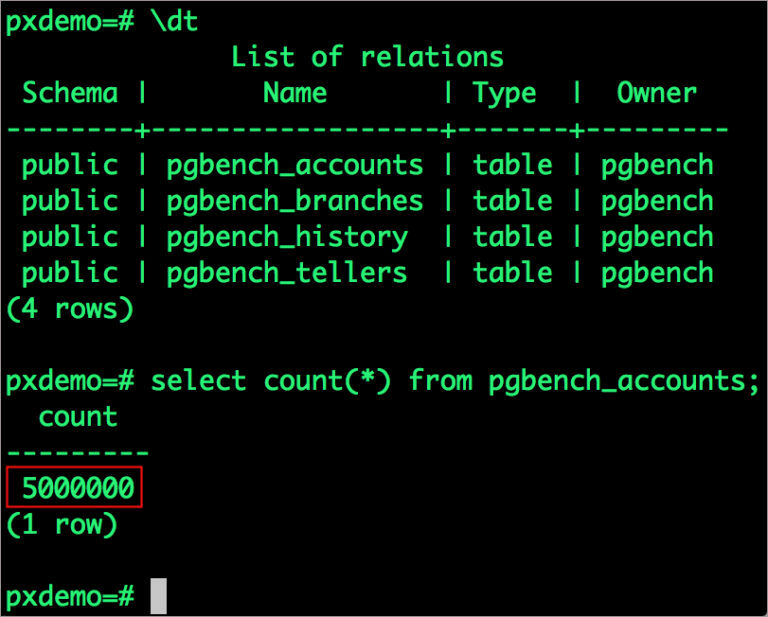 Since snapshots are just like volumes, we can use it to start a new instance of PgSQL. Let’s create a new instance of PgSQL by restoring the snapshot data. From the new PVC, we will create a Postgres pod. Verify that the new pod is in a Running state. Notice that the collection is still there with the data intact. We can also push the snapshot to an Amazon S3-compatible object storage service if we want to create a disaster recovery backup in another region or location. Since Portworx snapshots work with any S3 compatible object storage, the backup can go to a different cloud or even an on-premises data center. Portworx can be easily deployed on IBM Cloud Kubernetes Service to run stateful workloads in production. Through the integration of STORK, DevOps and StorageOps teams can seamlessly run highly available database clusters in IKS. They can perform traditional operations such as volume expansion, backup, and recovery for the cloud native applications in an automated and efficient manner.